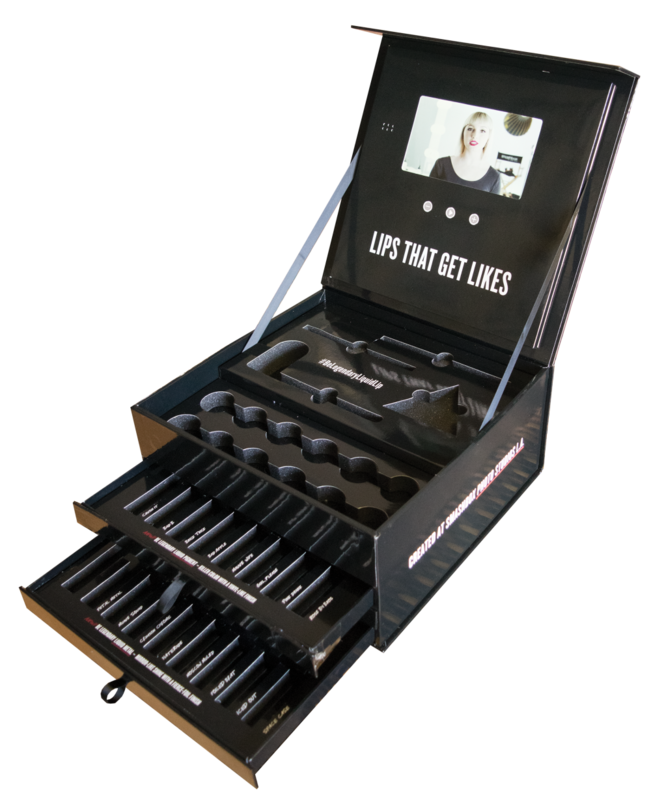 When your product is as big and bold as Smashbox’s Metallic Lip line you need a dazzling sampler kit to roll it out to your trainers, retailers and influencers. 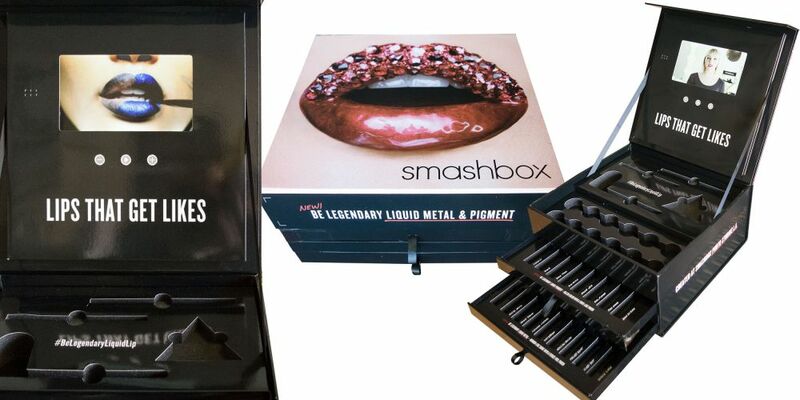 Americhip and Smashbox developed a glamorously super-sized, three-tiered product palette to help launch its new line. 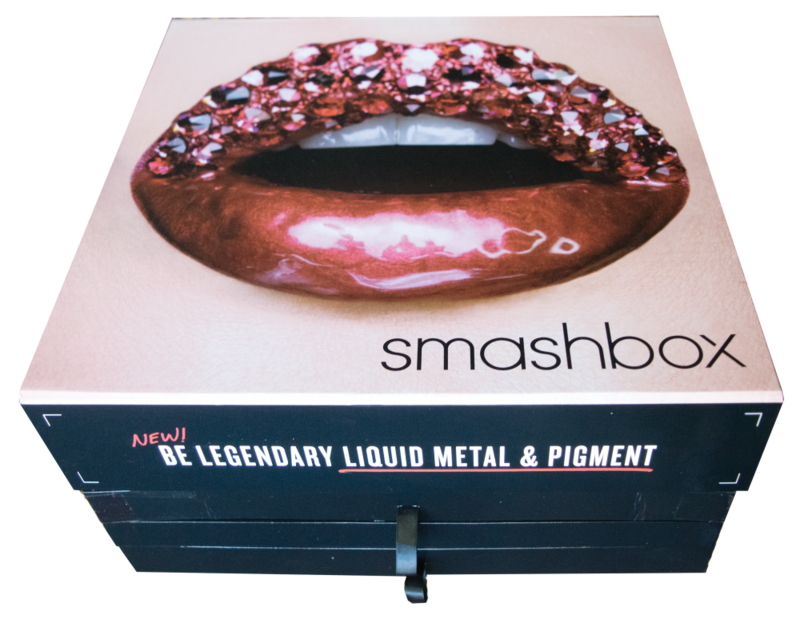 Our packaging engineers created an innovative design including two slide-out product drawers, a large platform holding brushes, glitter and decorative materials and our 7" screen built into the lid. To allow the influencers and retailers to follow along with the experts' video tutorials, we used decorative ribbons to hold the lid and screen at the optimal viewing angle. Partner with Americhip to create a real buzz around your next campaign.